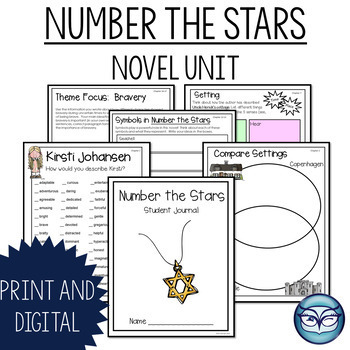 Number the Stars is a perfect novel study to integrate reading comprehension and history. Whether you're reading the book as a read aloud and are looking for supplemental activities, or your reading as a class novel study, this is the perfect guide for you as a teacher! 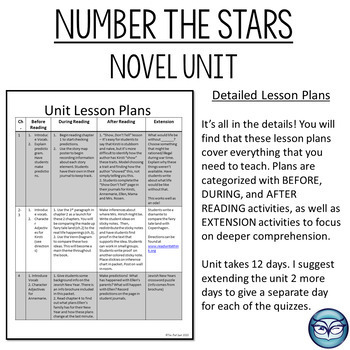 Novel unit plans includes a middle of the book assessment and an end of the book assessment (answer keys included) for Number the Stars. 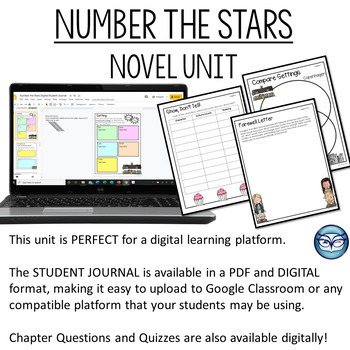 Student journal pages give you the option of taking grades for different skills. The included chapter comprehension questions do not have an answer key, as the questions are designed in a short answer format and can have a variety of answers. These are great for reading checks, reading guides, and literature circle discussion points. Number the Stars unit plans wrap up with a student project on symbolism. Students create a Tab Booklet to show the different symbols in the book, what they mean, and how the characters interact with the symbols. A project rubric is included, too. What more do you need? 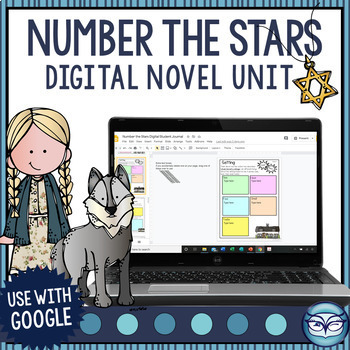 Teach Number the Stars with confidence that your students will enjoy this novel as they stretch their brains to comprehend texts and support their ideas. If you are happy with my product, please leave me a kind rating. If you have any questions, please email me so I can make this unit a pleasurable experience for you and your students! Check out these other great links from The Owl Spot! For the most current information on new products, sales, and updates, click the green star above to follow The Owl Spot!